In 2013, NC State University’s Lonnie Poole Golf Course at NC State passed strict sustainability standards and became a certified Audubon International Signature Golf Sanctuary and member of the organization’s Signature Program. With this certification, the Lonnie Poole Golf Course represents the evolution in golf course architecture toward sustainability. It both fits into and protects the natural environment. The Arnold Palmer Design group used nature as its primary cue for the design of this 250-acre course; Raleigh’s large elevation changes dictate the course routing, which meanders around large buffer areas, left in place to protect natural streams and wetlands. Established in 1996, Audubon International’s mission is to work with others to deliver high-quality environmental education and to facilitate the sustainable management of land, water, wildlife and other natural resources in places people live, work and play. 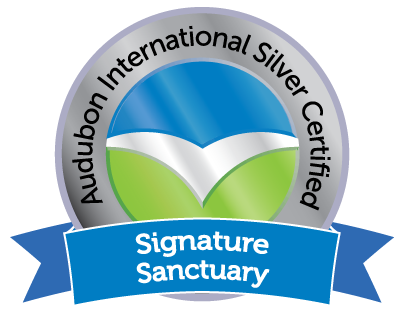 The Signature Sanctuary Program is an elite Audubon International category. The Lonnie Poole Golf Course is one of only two university-owned golf courses to earn the certification and among only 93 total projects that have received the certification. The Lonnie Poole Golf Course not only fulfills a recreational and athletics role but also provides the university with a functioning laboratory for research and teaching. Turfgrass Management, Professional Golf Management, Crop Science, Horticulture, Entomology , and Plant Pathology programs all use the golf course in their studies and research. Within the golf course, programs involving wildlife conservation, habitat enhancement and environmental issues are balanced with the economics, operations and practicalities of running a golf course. In addition, the nearby Centennial Middle School uses the facilities for sustainability lessons in their science curriculum. In partnership with Triangle-based chemical company BASF, the Lonnie Poole maintenance department and a corps of volunteers planted over 1000 milkweed plants and several thousand wildflowers in out-of-play areas of the golf course to become a habitat for the distinctive orange and black butterflies. 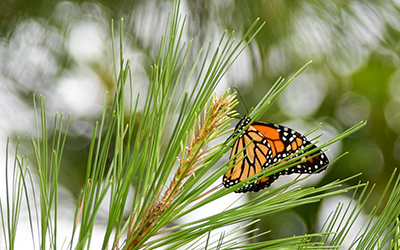 Nationally, mainly because of a loss of habitat and changing weather patterns, the North American population of monarch butterflies has declined by as much as 90 percent. Monarchs an iconic presence in the summer and fall as their migration patterns include North Carolina. Monarchs utilize milkweed exclusively for reproduction, and milkweeds are the only plants that adults lay eggs on and larvae feed on. Four milkweed species were planted, along with a mixture of wildflowers, by a band of dozens of volunteers that included administrators, students, alumni and BASF employees, among the native grasses that make LPGC a sustainability success story. Pollination is critical to plant and human survival, and the plant world expends a lot of energy attracting bees and other insects with brilliantly colored flowers and sweet nectar. The honey bee is recognized as an official state symbol in seventeen states, primarily because it plays such an important role in agriculture. 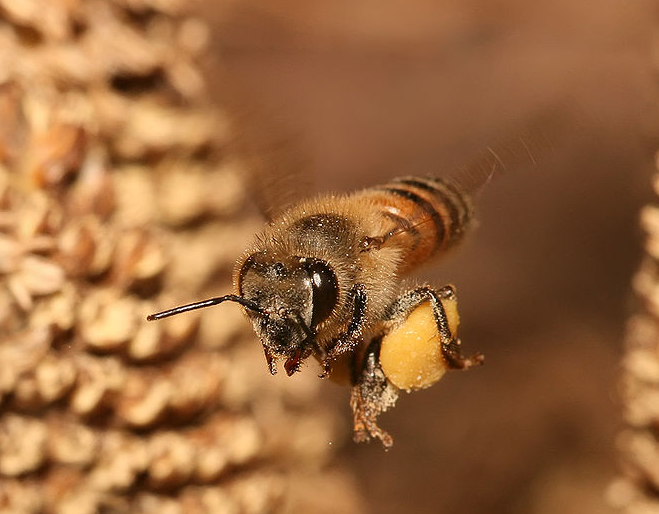 North Carolina designated the honey bee as official state insect in 1973. In addition to honey bees, several species of wild bees are important pollinators. The monarch butterfly habitat established on the golf course serves an important role in pollinator health by providing nectar and pollen sources for both domesticated honey bees and wild bees. North Carolina is home to the Eastern Bluebird . 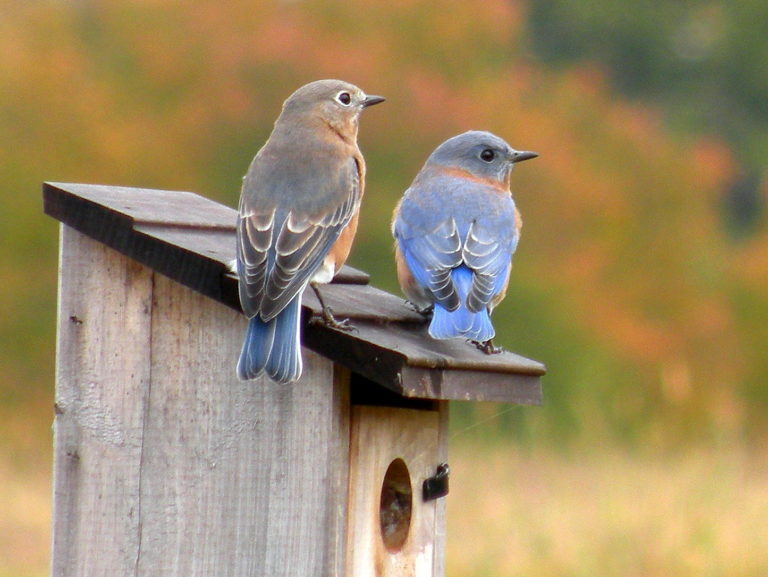 Bluebirds are excellent Integrated Pest Management (IPM) allies, which means they eat many harmful insect pests, and farmers often install bluebird boxes in vineyards, orchards, and other crops for natural pest control. Small gardens can benefit by their presence as well. Bluebirds prefer to live in open grassy areas with scattered shrubs or trees, which is very similar to the layout of the golf course. They are cavity nesters, which means they seek out hollow trees or other natural “nests.” This is why they are easily attracted to nest boxes, which have been installed throughout the Lonnie Poole Golf Course. Extensive, undisturbed vegetative buffer areas are among the Lonnie Poole Golf Course’s distinguishing features. These buffers include mixtures of fine fescue and native warm-season grasses, loblolly pines, and other native plants. It is not uncommon for golfers to see a variety of wildlife species during a round of golf. 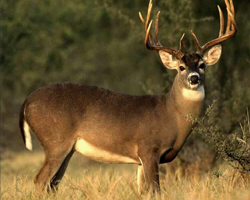 Deer: One easily recognizable N.C. native is the white-tailed deer. These herbivorous animals eat many green-leaved plants, and one of their main food sources is acorns. Easily adaptable, white-tail deer can be found in a variety of habitats, but they especially like river bottoms, oak ridges and pine forests, which offer food, water and cover. Beavers: Beavers are found throughout North Carolina. 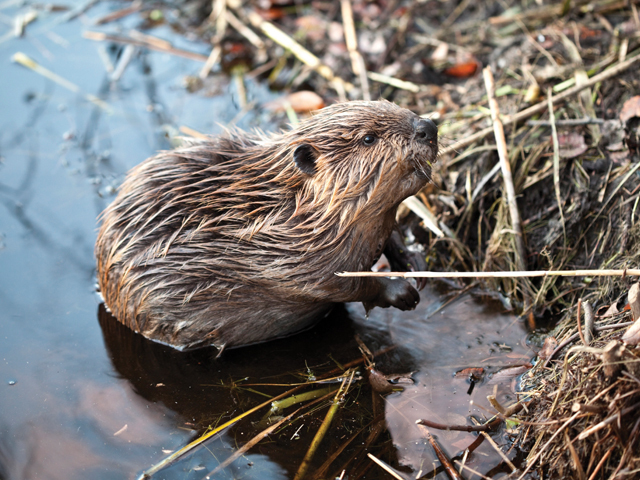 The average adult weighs 30 to 40 pounds, but larger beavers can weigh up to 70 pounds. Beaver ponds may help control erosion and sedimentation, recharge groundwater resources and provide valuable habitats for waterfowl, herons and other wetland wildlife. Foxes: Though both the red fox and the gray fox live in North Carolina today, the gray fox is the state’s only native fox species. 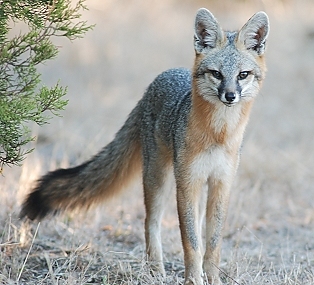 Both types of foxes prefer a diversity of habitats, including farmland, pastures, brushy fields and open forest stands. They forage on a variety of prey, but mice, meadow voles and rabbits form the bulk of their diets. Blue Herons: The great blue heron lives in and around salt and freshwater environments. Blue Herons cannot swim. They usually spear their prey and fly off with it from the water. 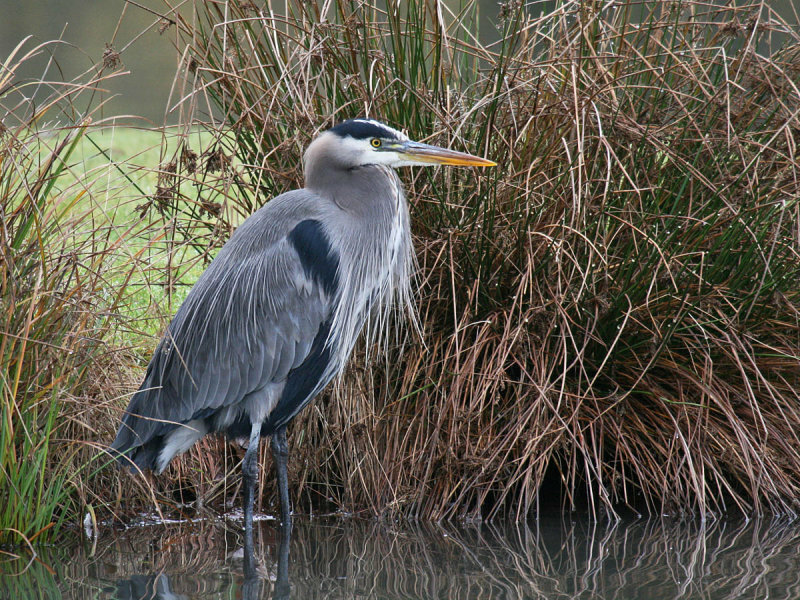 Great blue herons eat fish, frogs, salamanders, snakes, small mammals, land insects, birds, and some plants. This is also the best-known and most widespread of all North American Herons.